“We’ve known for quite some time that the magnetic field has been changing, but we didn’t really know if this was unusual for this region on a longer timescale, or whether it was normal,” says Vincent Hare, who recently completed a postdoctoral associate appointment in the Department of Earth and Environmental Sciences (EES) at the University of Rochester, and is lead author of a paper published in Geophysical Research Letters addressing changes in the earth’s magnetic field. In order to put these relatively recent changes into historical perspective, Rochester researchers—led by John Tarduno, a professor and chair of EES—gathered data from sites in southern Africa, which is within the South Atlantic Anomaly, to compile a record of Earth’s magnetic field strength over many centuries. 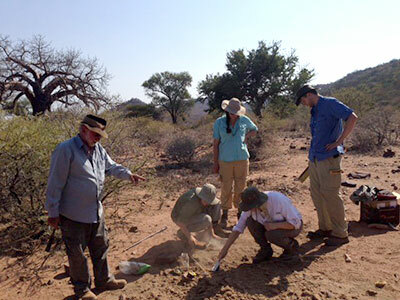 Data previously collected by Tarduno and Rory Cottrell, an EES research scientist, together with theoretical models developed by Eric Blackman, a professor of physics and astronomy at Rochester, suggest the core region beneath southern Africa may be the birthplace of recent and future pole reversals. A pole reversal? Not yet, say researchers. 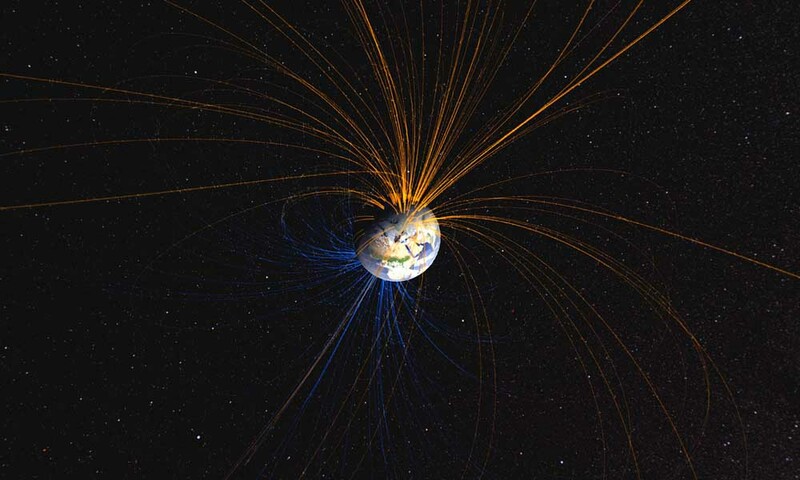 A major change in the magnetic field would have wide-reaching ramifications; the magnetic field stimulates currents in anything with long wires, including the electrical grid. Changes in the magnetic field could therefore cause electrical grid failures, navigation system malfunctions, and satellite breakdowns. A weakening of the magnetic field might also mean more harmful radiation reaches Earth—and trigger an increase in the incidence of skin cancer.